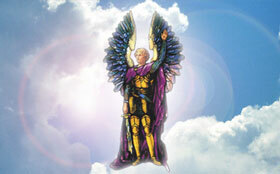 “Visualization of the violet flame begins your concentration and results in your God-mastery. Visualize the fire in the heart, then, and let the violet flame burn in the heart, surround the heart. “And when you know your mantras by heart, as many of you do, then sit in deep meditation and let the violet flame increase in size, beginning within and then encompassing the physical heart and the heart chakra. [Let the action of the violet flame] remain intense by your visualization and by the intensity of your call. Then let it expand slowly so that the intensity is such that you cannot see through the flame; for it has become a dense manifestation of the [violet] ray of light [as it has] descended from the sun and then sprung up as a flame at your point of invocation. “Your point of invocation is your throat chakra. [It can also be defined as the plane of your soul's incarnation.] 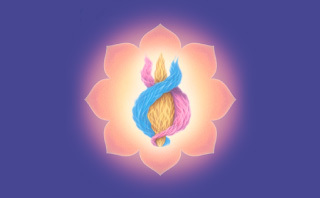 Therefore I say, invoke the flame through the throat chakra and add to [your invocation] the instrument of the heart chakra, thereby pouring love to the flame and drawing love from the flame. Use the third eye to invoke the violet flame by intense visualization, drawing the flame into the third eye and giving to the flame the momentum of the sacred fire of that chakra. So use each of the chakras to meditate upon the flame, to focus the flame and then to give [devotion] unto the flame even as you receive [the devotion of the flame]. 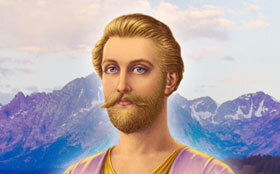 “The more creative you are in the use of the violet flame, the more you understand that the violet flame is a ritual, has a consciousness of ritual and looks forward to the hours of the day that you have consecrated to invoking a mantra of the violet flame–or, should I say, invoking the violet flame through a mantra? “Well, the mantra is the flame and the flame is God and so is the mantra! The question is: Are you all three? Are you the flame, the mantra and the manifestation of God? “This is the attainment you look forward to as you visualize the violet flame rising up from beneath your feet, rising and pulsating and purifying every level of your being. 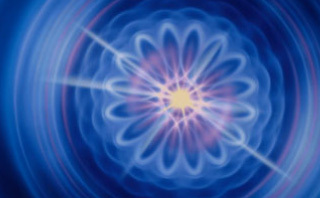 Then when the concentration is complete in the physical body and you see and feel it, let it slowly extend [out from you] as an aura having the magnetism of the violet flame and let it increase and intensify. “And so, beloved, as you go through the world, [remember to] put on your tube of light to protect your momentum of the violet flame. But also be ready when you see the eyes of a Lightbearer and the child in need and the soul who looks to God for help. Do not fear to be the instrument to transfer a cup of cool violet flame in Christ's name.